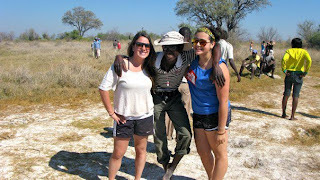 People Helping People Global Blog: Intern #5...! I’m Alex Bergonia and I will also be working as an intern for PHPG this summer in Granada! I am currently finishing up the last few weeks of my junior year at Claremont McKenna College where I am studying government and economics with a concentration in international development. I am originally from Kenilworth, Illinois and went to high school at Phillips Exeter Academy in New Hampshire. Since high school, I have had the opportunity to embark on numerous adventures abroad, and have come to know many diverse cultures around the world. I have traveled around Europe extensively and have also been to China. I have spent six-weeks living and working in the Salta region of Argentina and have visited Brazil, Mexico, and several Caribbean Islands; however, I have never visited Central America. While I have been interested in international development since I began college, my desire to work in microfinance was cemented over the past year. I spent a total of six months abroad – four in Cape Town, South Africa where I was also able to visit Zambia, Botswana and Zimbabwe. While there, I conducted an independent study that sought to uncover the reasons why the post-apartheid government’s system of affirmative action, Black Economic Empowerment, has failed to empower the majority of disadvantaged South Africans. I discovered that BEE was based on corruption, favoritism and political patronage, and had only succeeded in empowering crony capitalists and creating a wealthy black elite. There is enormous entrepreneurial potential prevalent in South Africa’s townships and cities. The absence of successful government systems of wealth redistribution necessitates the involvement of outside actors to fill the void. This is where microfinance comes in. My studies and experience in South Africa cemented by belief that a small amount of capital invested in individual business ventures is the most effective way to combat poverty. After my experience in South Africa, I knew that I wanted to learn more about the grassroots implementation of microfinance, and how foreign aid and charity can be sustainably invested and maximized abroad. I am so excited to have the opportunity to study microfinance this summer with such a young and vibrant organization. I can’t wait to meet my new co-workers and the people of Granada, improve my Spanish and come to know a new part of the world. I’m counting down the days and can’t wait for this summer! !